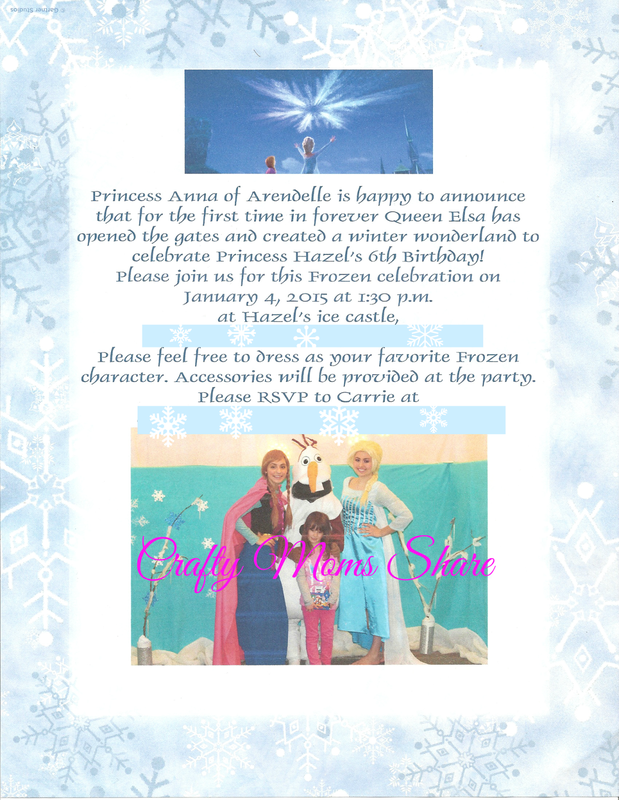 Last week we shared the fun things we did, served and decorated with for Hazel's Frozen-themed birthday party. The girls are still talking about it and how much fun they had. Hazel thinks it was the best party ever!! In true good manner fashion, I always want Hazel to write thank you notes for gifts. So far I have been writing them and she signs her name or draws a picture. Our next door neighbor gave her some fill-in-the-blank thank you notes that she no longer needs (she is 12). 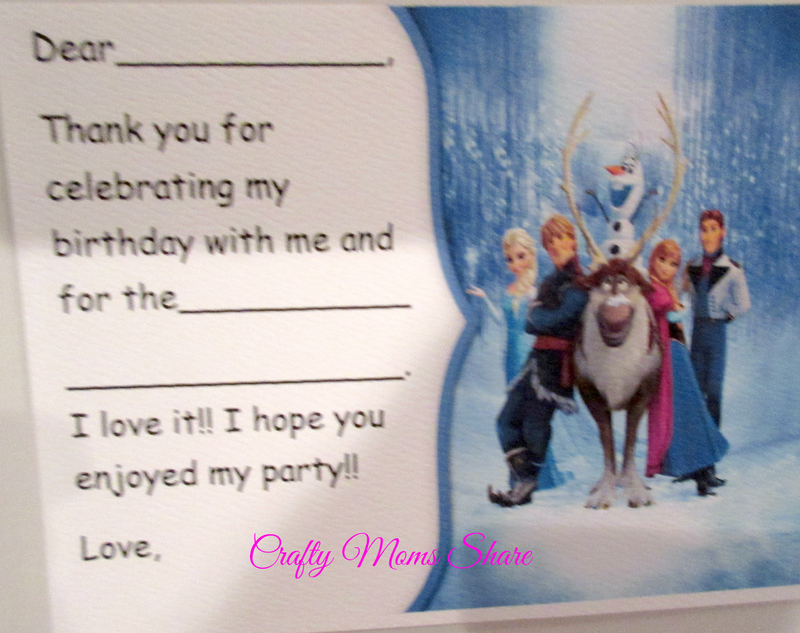 It gave me the idea of making our own Frozen-themed ones. I used Avery postcards which I used for the goody bag tags. I used them for our thank you notes as well. I used a picture from Oh My Fiesta on it. Then I added a text box and used Comic Sans font since it looks a bit like handwritten and has the letters how they write them in school. Her class is full of emerging readers. I helped her spell her friends' names and gifts and she was able to "write" her thank you notes without much effort from me. 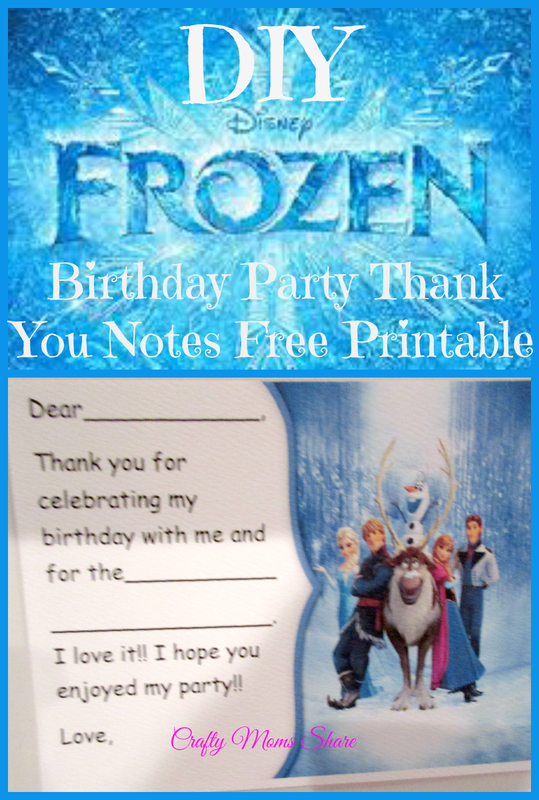 You can print these thank you notes as well! And since I never shared the invitation with you here it is. I printed it on snowflake paper I bought ages ago and saved. Hazel was upset that she was not turning eight so I could go with the tradition of making it rhyme.